Making money on instagram may seem like something simple, but it is not. At first glance, the monetization itself is simple - but building a profile, collecting the right number of followers is the most problematic. Only after building the profile, we can talk about earning money on it. 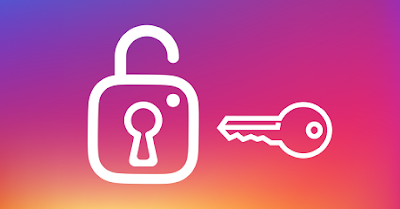 From this guide you will learn what are the most effective and popular methods of making money on Instagram, which you can use on your accounts. I hope that the guide is a great proposition for experienced instagram members as well as for those who are just starting their "fight" on instagram. Affiliation or advertising of partner programs. There are a lot of affiliate networks. For sure you can find an affiliate program matching the subject of our profile and then earn money by directing users to our affiliate link. This may be the sale of various products, it may be email offers submit, sms contests, online games, some dating sites, everything that is available in partner programs. Affiliation is about advertising our link. When a user enters our link and eg buys a product that we advertise, we will receive a commission on sales. It's a very easy and affordable way to earn money. Sponsored posts, i.e. advertising posts for which we were paid. It's about adding third-party ads, websites and websites. This is a very simple method of earning, but it can be problematic to find customers. It can be seen that more and more brands are betting on influencers who do not have hundreds of thousands of observers. Niche profiles with dedicated fans can be even more profitable than large profiles. So it comes out that even by running a small profile - we should not be afraid to suggest cooperation to large brands. If we have a valuable account, you can not wait with your arms folded until customers start banging on our doors and windows, because it probably will never happen. It is worth to look for yourself, send a message to the companies and websites with which we would like to cooperate. Before submitting a proposal, it is worth having an idea how a post could look like and what an advertiser will gain. It should also be remembered not to propose at the very beginning how high rates are. These rates are very broad, there is really no price list. We can write in advance that this would be our first cooperation and we do not know how much to propose. The cosmic amount can cause us to go out on an idiot - it's better to admit that you are a novice. Over time, we'll know how much our sponsored posts are worth. The second idea referred to explicit posts of sponsored, obvious advertisements. There is also the possibility of uploading photos that do not look like advertising, but they are. It's about locating - for example, drinking specific drinks, walking in clothes of a specific brand, using specific equipment, watches, etc. Here the advertisers search rules are exactly the same. However, you can not boast of such campaigns. Posts from sites should be marked - in theory. In practice, hardly anyone means them, they tend to look like a normal post in advance. If affiliate campaigns from partner programs work, nothing prevents you from selling your own products, similar to those that we previously sold through partner links. The most profitable are virtual products, such as, for example, e-books that we have prepared and written. The cost of producing an e-book is USD 0, and the profit is 100% of the price (minus tax). Selling your own products on instagram is one of the most profitable methods of earning money. The most important thing is choosing the right products, which can be done before by testing various affiliate campaigns. Such sales can be organized through your own landing page, for example on wordpress or even through allegro, if you want to go on the easy way. If you choose wordpress, I recommend fastmicropay. Someone even here on the forum sells cheaper licenses of this plugin. If we sell physical products, at the beginning we can deal with packing and shipping ourselves - but as sales grows, it's worth outsourcing. I do not think you need to explain that. Instagram accounts can be created only for later sale. If you're good at creating accounts, developing them, building popularity - but you do not know how to make money on them effectively - sell them. You can develop several or even several accounts at once, in exactly the same way. Then put them on sale and earn money for your work.